The hardworking farmers of the Pennsylvania Piedmont region rely on Trifecta Solar to bring them the best solar energy options in southern Pennsylvania. From CSAs to organic co-ops, mushroom growing houses to vineyards, Trifecta Solar has the renewable energy solutions farmers need. Farm life depends on renewable resources. Seeds from this year’s crop can be planted to produce next year’s harvest. Compost from last year’s vegetable crop is tilled into the soil to nourish this year’s tomato crop on your York farm, just as crushed corn cobs and cottonseed meal are recycled into substrate for your cousin’s button mushroom farm in Lancaster. Solar panels convert the renewable energy of the sun into a resource that can power equipment on a Christmas tree farm in Harrisburg. Wouldn’t it be great to not only power your electric tree shaker and tree balers with your own solar energy plant, but also provide the electricity for the twinkle lights on your demo model? How about a source of renewable energy to run the electronic irrigation system at your apple orchard in King of Prussia? Trifecta Solar has the know-how to make renewable energy available to your farm through solar energy panels. The same sunlight that ripens fruits and vegetables in your fields can be converted into power for your farm, saving you money and making the most of your farm’s renewable energy resources. The broad barn roof that shelters animals or equipment can also hold solar energy panels, generating power for your farm and your home. And, if you don’t have a big barn, Trifecta Solar can mount solar energy panels on an open patch of ground…allowing you to “grow” crop after crop of your own electric power, all year round. Trifecta Solar will analyze your electric bills from past years to calculate your average usage, then work out the right type and number of solar panels you need to power your farm. 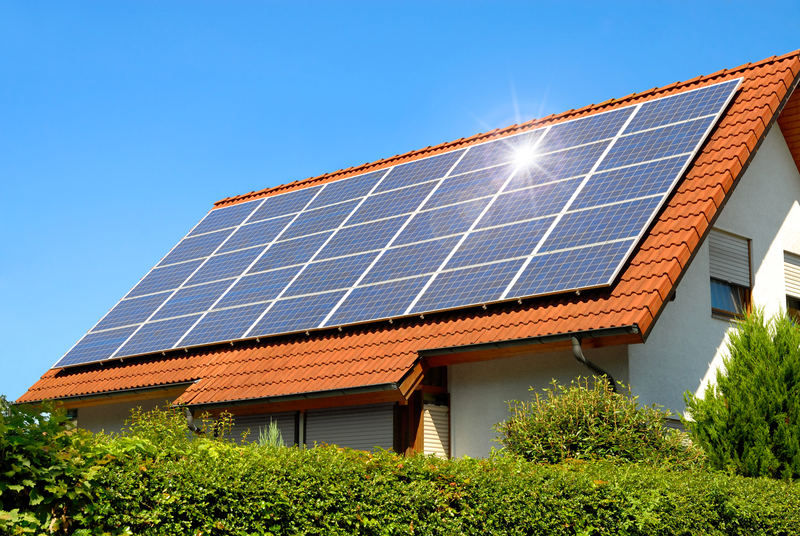 If you do produce some extra power, you can make an agreement to sell some back to your local utility. You could even consider becoming a part-time solar energy farmer in Berks County, using barn roofs and non-arable land to supply power for others. Pests or plant diseases can’t spoil your solar crop. As long as the sun is in the sky, you can harvest renewable energy from the sun—year after year, in every season. Our founder, Elam Beiler, was raised on a farm in Lancaster County. He knows this area and understands the needs of farmers here. You can email him directly for more information, or call Trifecta Solar today at (717) 314-9821 for a free quote.